Exercise can have profound, positive effects on the lives of people with chronic pain. Several studies have looked at the effects of exercise on chronic pain conditions. The results are often very similar: decreased pain and a better quality of life. For instance, a study published in Alternative Therapies in Health and Medicine looked at the effects of 12-week-long hatha yoga classes on people with chronic low back pain. Compared to the control group, who received standard care without yoga classes, the yoga group had substantially less pain. 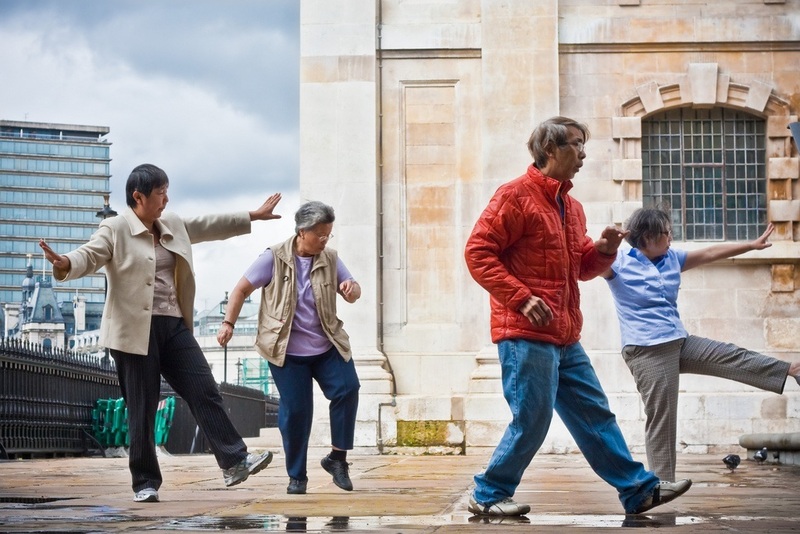 A study from the Journal of Rheumatology found that a 12-week tai chi program lowered the pain and joint stiffness of people with osteoarthritis, in addition to improving abdominal strength and balance. Yet another study found that by practicing tai chi twice a day for 12 weeks, rheumatoid arthritis patients experienced less pain, less stress, better balance, and increased confidence while moving. Depression is very closely correlated with chronic pain, so the mood-improving capabilities of exercising might also decrease discomfort. In addition, good cardiovascular health is strongly associated with reduced knee and back pain, so the heart-strengthening aspect of exercising can help, too. Also, that post-exercise tiredness might not be all bad. Chronic pain can interrupt sleep, which can lead to or worsen fatigue, which in turn causes decreased mobility, worsened pain, and less sleep. This cycle can be broken by doing some exercise. If a workout leads to a solid night’s sleep, the next day might be more productive, with less pain, which might encourage further exercise. In this way, the cycle of fatigue and pain can be reversed. Starting any new exercise regimen requires some careful planning, especially for anyone who suffers from a pain condition. Before starting any sort of exercise, check with your physician and ask if he or she has any recommendations. A physical therapist or personal trainer might also be able to give some insights. Be open and honest about physical limitations, concerns, or fears to make sure that any advice from medical professionals is as helpful as possible. It’s also a good idea to start slow. Do a little exercise, and then wait a day or two to make sure the activity won’t cause a delayed onset of pain. It’s not uncommon to feel some discomfort or slight soreness after engaging in a new exercise regimen for the first time, but if a particular activity causes severe pain, either decrease the amount or intensity, or stop it entirely and try something else. Don’t do so much exercise at once that it causes severe discomfort, because it will make the next workout that much more difficult to carry out. Low-impact exercise is a great option for beginners and for those with chronic pain conditions. “Low-impact” refers to activities that are somewhat gentle and therefore less likely to cause injuries or severe pain. Perhaps the most popular low-impact exercise is walking. However, lots of people get bored of walking or, for whatever reason, aren’t able to go for long walks on a regular basis. Also, stronger muscles can protect and support joints, taking pressure off the painful joints themselves. For this reason, strength training can be a good option, but it’s useful to have help from a professional. Consider doing mechanical weight lifting to start out with. This way, the machine can share the load, reducing the risk of straining an already-painful body part. Over time, as the muscles become stronger, the amount of weight can be adjusted. There are also several things to avoid when starting new exercises. First and foremost, avoid abrupt changes in activity level. In other words, don’t go from a ten-minute daily walk to an impromptu five mile hike overnight. Instead, slowly increase walking distance and stamina over a long period of time. Also avoid any activities that are extremely demanding. For example, running puts a lot of strain on the knees. Walking has the same benefits, but it’s nowhere near as hard on the joints. Activities that require a lot of jumping or twisting, such as basketball, or collisions, such as football, are not a good idea for anyone with a pain condition. Activities with a lot of repetitive actions, like golf or tennis, can also cause or worsen pain conditions. What sort of exercises do you enjoy?